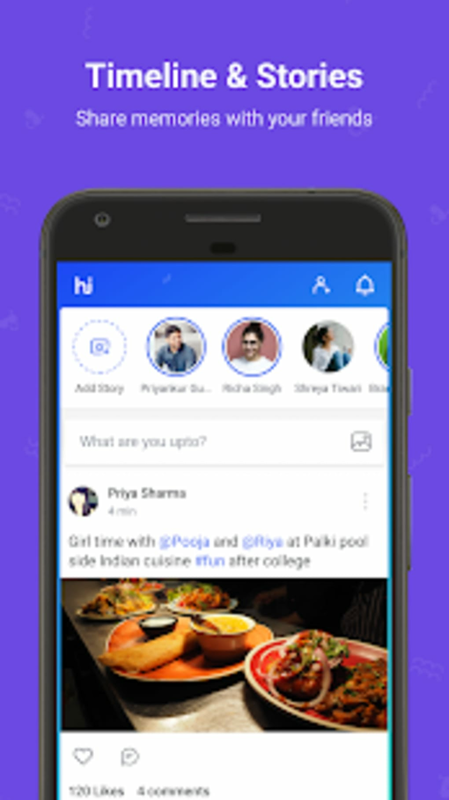 Hike Messenger is a messaging app for Android that lets you chat for free with any other user of the service. Hike Messenger is very similar to applications such as WhatsApp or Line. 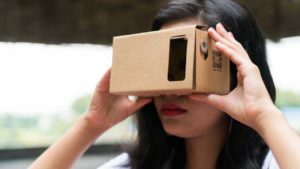 Lets you share multimedia, location, etc. 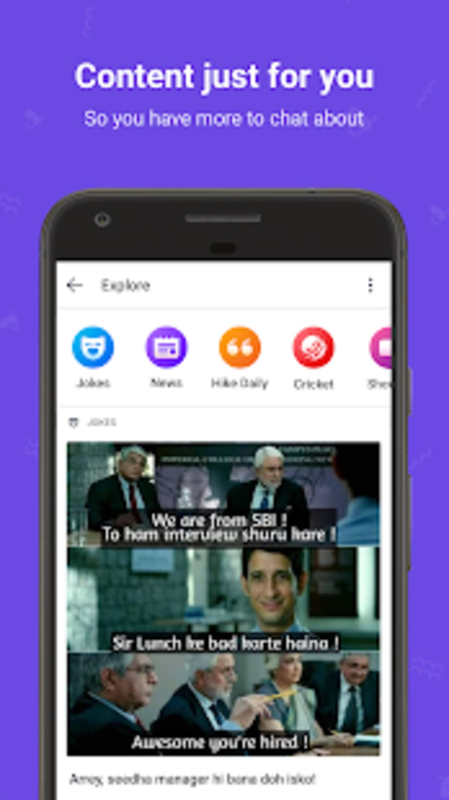 What does Hike Messenger do? 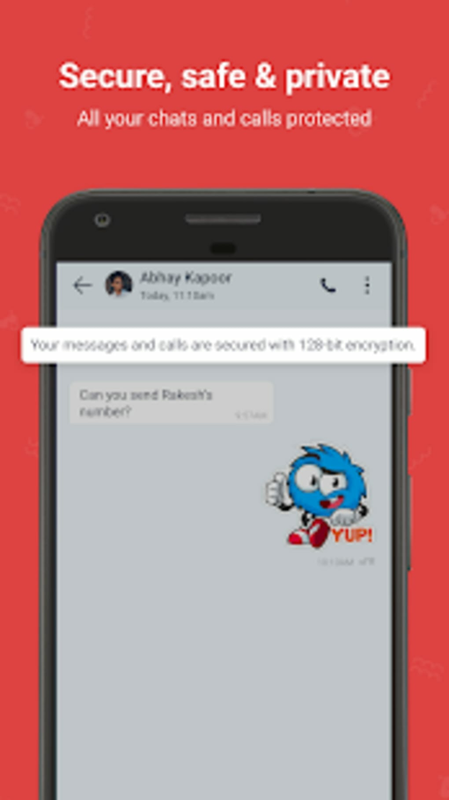 Hike Messenger allows you save the cost of sending SMS by exchanging free messages with anyone else who has the app installed, regardless of what smartphone platform they are using. Hike Messenger can even send SMS messages for free to someone, though this service only works in India at present. Besides just chatting via instant messaging, you can attach images, video, audio and voice messages to your chats with Hike Messenger. There's also an option for sharing your location with the person you're chatting too. 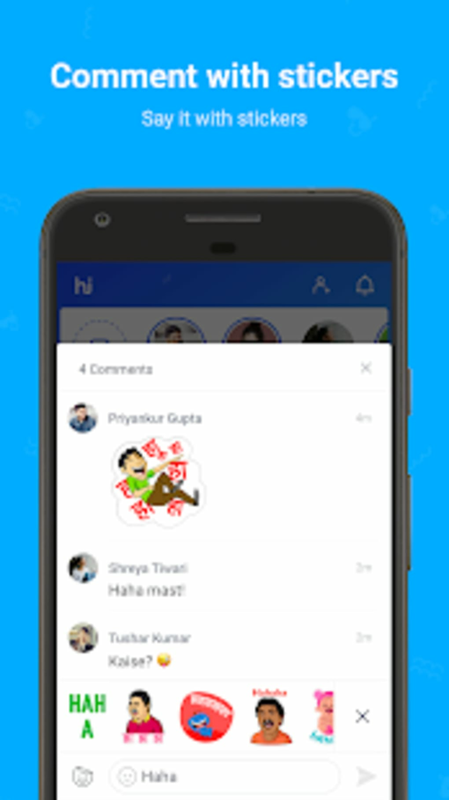 Hike Messenger includes a group chatting feature too. 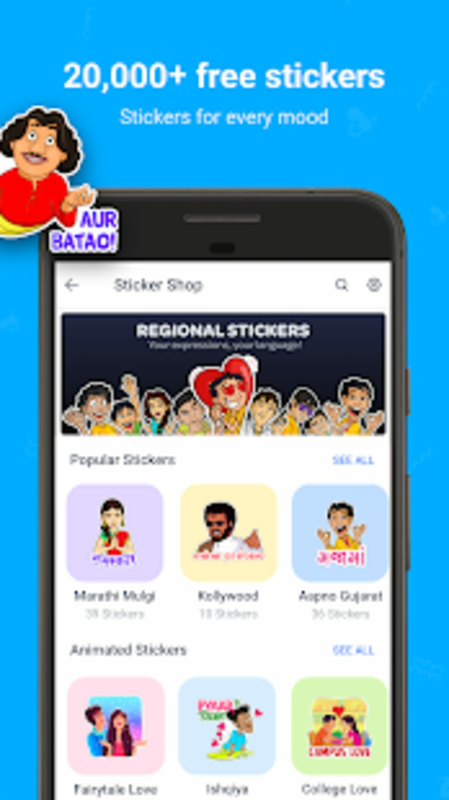 Hike Messenger includes a wide selection of fun emoticons that you can add to your chats, which are grouped into three different types of character. There's something for everyone in there. 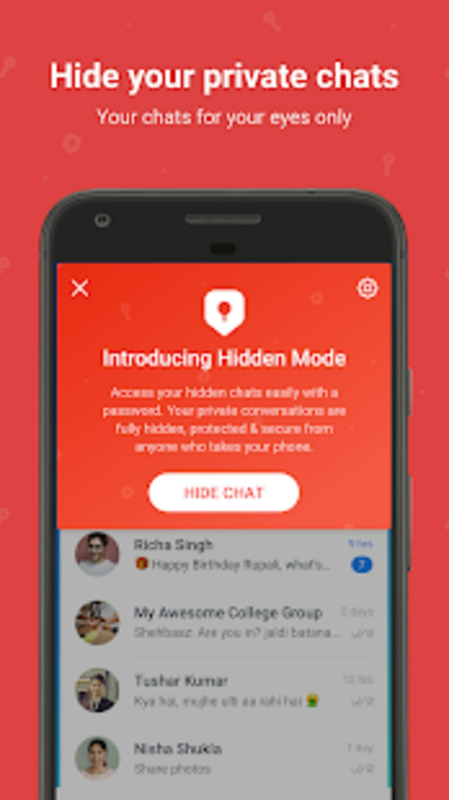 For the privacy conscious, Hike Messenger also has a handy "Hidden Mode" which allows you to hide chats that you want to keep private and password protect them. 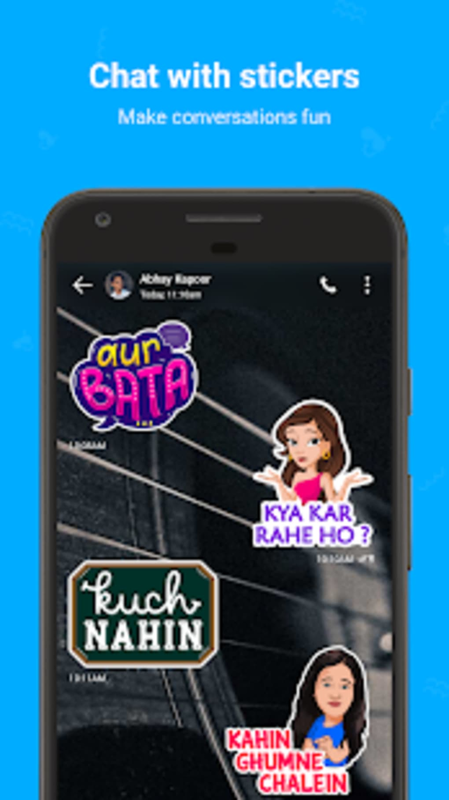 How easy is Hike Messenger to use? The setup process for Hike Messenger is very similar to that of WhatsApp or Viber. You need to enter your phone number and you'll be sent an activation code via SMS. Enter this into the field provided and you're away. You can easily view all your friends on Hike Messenger by tapping the contacts button. This will pull up a list of people from your phone contacts book who have Hike Messenger, as well as allowing you to invite friends who don't yet have the app. Is Hike Messenger better than WhatsApp? Ultimately, Hike Messenger is very similar to WhatsApp. It shares almost all of the same features, though I would say WhatsApp is a bit more polished. Although the user interface of Hike Messenger looks great, it doesn't have the customization options of WhatsApp, which allows you to change the background image of the chat window. WhatsApp has a more varied range of emoticons, too. Hike Messenger is a fast and easy way to chat for free with your buddies on your phone. Whether you choose Hike Messenger over WhatsApp, LINE, Viber and the rest will depend ultimately on which service most of your friends are using. Significant improvements have been made to Hike's messaging, making it faster on GPRS and 2G networks. 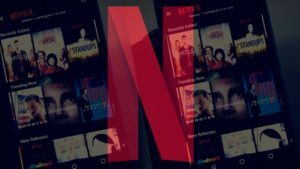 Hike Messenger is also continuing to be streamlined to make it less resource intensive, allowing better performance on low end Android devices.